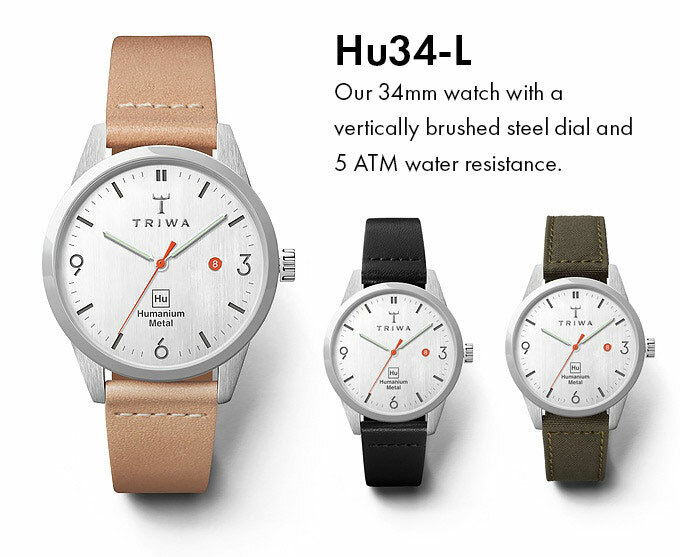 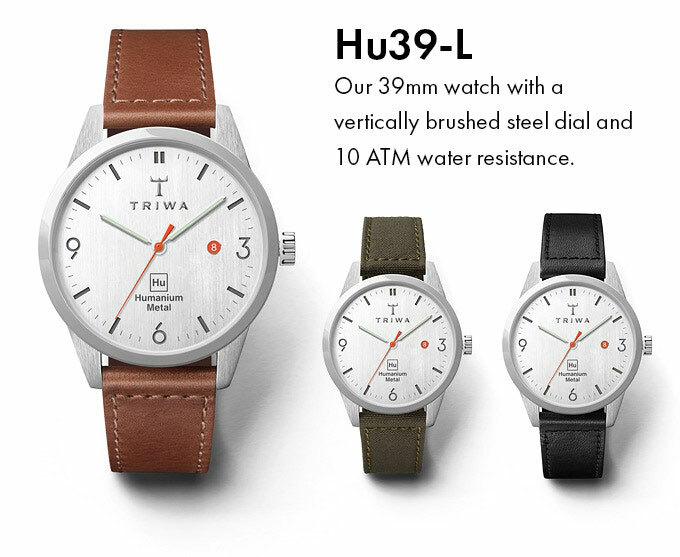 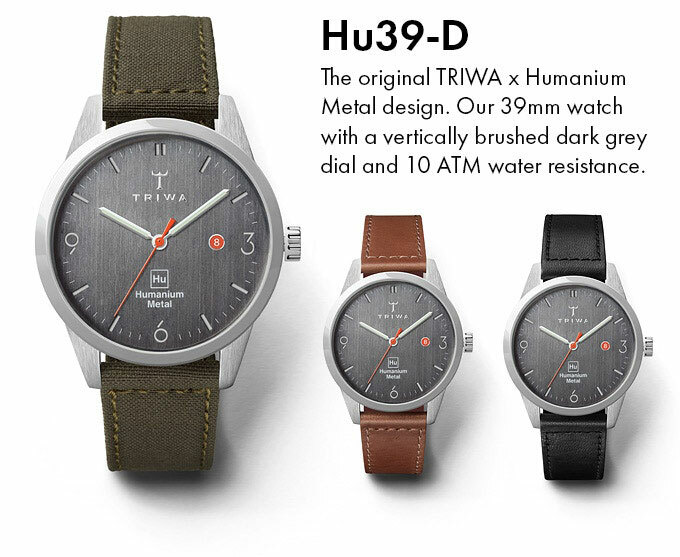 Triwa watches have cases made from “Humanium”, a blend of stainless steel made by IM Swedish Development Partner. 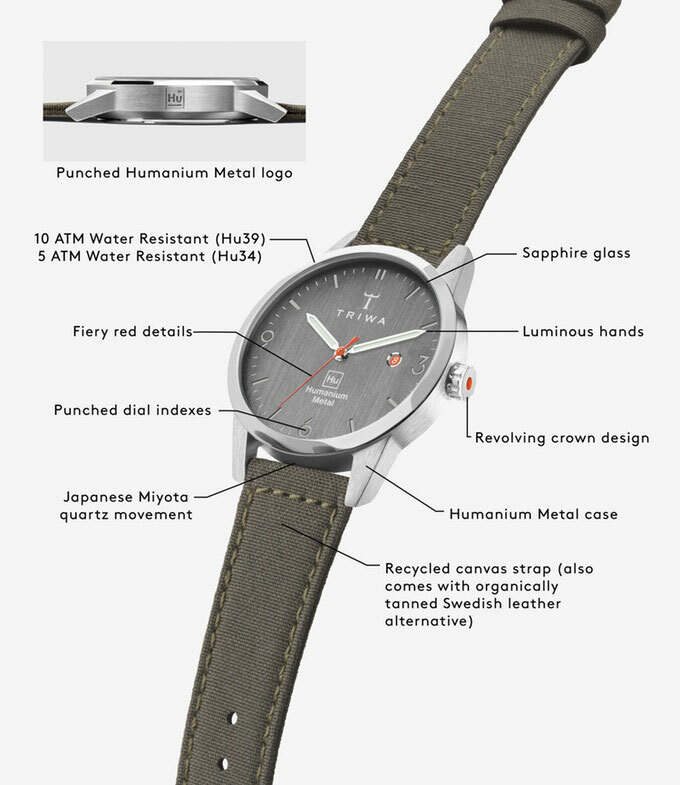 The steel is obtained from confiscated illegal firearms. 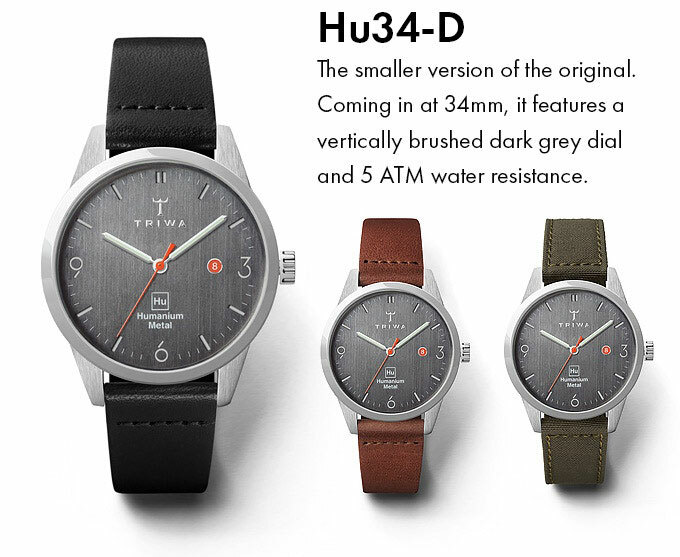 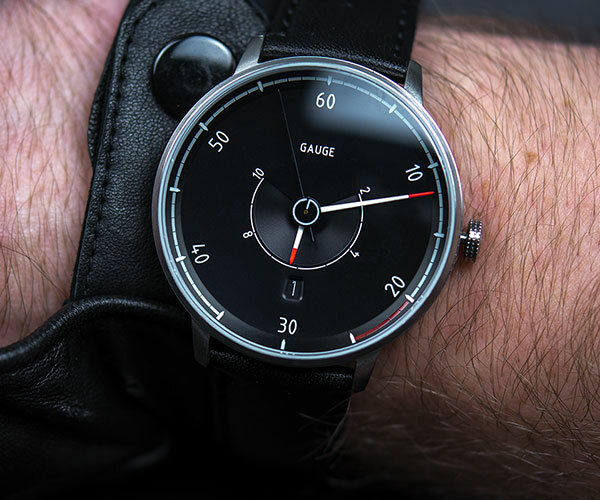 The watches come in 39mm or 34mm sizes, with a steel or a dark grey dial.